This guide is intended as a reference to many of the items you will find in the game. It will provide details about where to craft or obtain certain items, as well as links to the database entries, so that you can see drop information. It will also mention which vendors sell certain items, and their price. Suggestions on how to best utilize certain items will also be provided. All characters start out with the same basic items. This includes 5000 Adena, 500 Soul Shot - NG, and 50 Condensed Greater Healing Potion. Also in you inventory are Wooden armors for physical damage characters, and Devotion armor for magic users. There are also a weapon for you to start with and a Map:All of Aden. The starter armors and weapons do not provide very many useful bonuses, so you should change them out as soon as you can wear something stronger. These are some of the most crucial items in the game. They are especially useful in PvP, boss hunting, or any time that you need a boost to your damage. Shots provide 50% extra damage to your melee hits (Soul) or attack spells (Spirit). They can be obtained by hunting certain monsters or by visiting the Alchemist Nettles in the Island of Prayer town. To use Soul and Spirit Shots, simply double click them in your inventory. Double click again to turn them off. You must use the same grade of shot as the item you are using them with, ex: Soul Shot - S80 will only work with an S80 weapon armed. The doll system is an important part of the game. It allows players to summon up to 5 dolls that provide special bonuses ranging from extra experience to a chance to stun your enemy. Any character can use 3 dolls. To summon more, you need to have at least 25 Charisma (4 dolls) or 31 Charisma (5 dolls). Dolls do not take damage from monsters and last for 30 minutes (1,800 seconds). To summon a doll, you need 50 Crystal, which can be obtained by using a Solvent on certain items. The item will be dissolved, and there is a good chance you will get a stack of Crystal. Different items will give different numbers of Crystal (Non-Grade Belts are usually the best things to dissolve). Solvents can be purchased at Caroline at IoP. Dolls can be purchased at Frintezza's Doll Merchant in Aden Town with either Gift Coin or Doll Coin. You can also trade dolls in for Doll Coin. Magic Doll: Bugbear - Increases carrying capacity. Magic Doll: Cockatrice - Gives a 1% chance to stun target with each melee hit. Magic Doll: Crustacean - Adds 10% chance for a critical hit. Magic Doll: Elder - Adds 2 Spell Power. Magic Doll: Lich - Gives extra luck to your character. Magic Doll: Ninja - Increases Adena from monsters by 2.5%. Magic Doll: Princess - Increases Experience from monsters by 2.5%. Magic Doll: Ramia - Adds +1 to all stats. Magic Doll: Scarecrow - Increases Soul Experience from monsters. Magic Doll: Sea Dancer - Adds 50 Mana. Magic Doll: Snowman - Gives 4 different Illusionist buffs at random intervals. Magic Doll: Stone Golem - Adds 100 HP. Magic Doll: Succubus - Adds Mana regeneration. Magic Doll: Werewolf - Slight increase to melee hit chance, damage, and critical hits. These dolls are much more powerful versions of the magic dolls. They work the same as regular dolls, but are different in that they need to be leveled up in order to gain stats. Doll Coin are required to summon these dolls. Levels are gained by hunting with the doll summoned. A player may only have ONE of each type of power doll out at any time, meaning it is possible to have a Power Doll: Scarecrow and a Skill Doll: Scarecrow summoned, but not 2 Power Doll: Scarecrow. The same number/CHA limits apply to power/skill dolls. These dolls are crafted at Frintezza's Seamstress in Aden. The materials are very difficult to obtain, but the dollsí abilities are worth it. The Gift Master in Silver Knight Town sells many useful items for Gift Coin. GM Candy - 3 GC - Provides a full set of buffs and 7,200 sec. of CDK. Blue Box of Gratitude - 5 GC - Has a chance to give Blue Shirt of Wisdom, Cougar Bronze Statue, or other items. Yellow Box of Gratitude - 5 GC - Has a chance to give Yellow Shirt of Charisma, Demon Bronze Statue, or other items. Purple Box of Gratitude - 5 GC - Has a chance to give Purple Shirt of Intelligence, Drake Bronze Statue, or other items. Red Box of Gratitude - 5 GC - Has a chance to give Red Shirt of Strength, Great Minotaur Bronze Statue, or other items. Green Box of Gratitude - 5 GC - Has a chance to give Green Shirt of Dexterity, Stuffed Giant Soldier Ant, or other items. Orange Box of Gratitude - 5 GC - Has a chance to give Orange Shirt of Constitution, Iris Bronze Statue, or other items. Teal Box of Gratitude - 5 GC - Has a chance to give Teal Shirt of Balance, Stuffed Black Tiger, or other items. Dragon Juice - 1 GC - Gives 7,200 sec. of CDK. Adena Pouch - 1 GC - Gives a random stack of Adena between 1 and 10 million. Crystal - B - 1 GC for 50 - Used for making Soul/Spirit Shots or crafting. Crystal - A - 1 GC for 25 - Used for making Soul/Spirit Shots or crafting. Crystal - S - 1 GC for 20 - Used for making Soul/Spirit Shots or crafting. Crystal - S80 - 1 GC for 10 - Used for making Soul/Spirit Shots or crafting. Coin of Bravery - 1 GC for 5 - Gives 300 sec. of Brave effect. Immunity Potion - 1 GC for 10 - Casts the Immune to Harm spell on the user. Enchanter's Box - 10 GC - Chance to give Enchant Scrolls or Elemental Stones. Gender Changing Potion - 5 GC - Changes your characterís gender. Lesser Soul Energy Battery - 1 GC - Gives 100 SXP (must be wearing a Soul Weapon). Soul Energy Battery - 3 GC - Gives 500 SXP (must be wearing a Soul Weapon). Greater Soul Energy Battery - 6 GC - Gives 1000 SXP (must be wearing a Soul Weapon). Rename Coin - 10 GC - Allows you to rename your character. Spell Box - 2 GC - Gives 1 spell container for each class. Lucky Dice! - 4 GC - Rerolls your base luck randomly. Lucky Coin! - 18 GC - Rerolls your base luck randomly and tells you whether it increased or decreased. Potion of Luck - 2 GC - Increases your luck for 8 minutes. Potion of Learning - 2 GC - Increases EXP gain by 50% for 8 minutes. Box of Spirit Crystals - 1 GC - Gives a random Elf spell. Box of Technical Documents - 1 GC - Gives a random Knight skill. Dark Spirit Crystal Capsule - 1 GC - Gives a random Dark Elf spell. Royal Spellbook Box - 1 GC - Gives a random Royal spell. Dragon Tablet Bag - 1 GC - Gives a random Dragon Knight skill. Memory Crystal Jar - 1 GC - Gives a random Illusionist spell. Spellbook Chest - 1 GC - Gives a random Magician spell. Potion of Law - 1 GC - Increases your Lawful Points. Potion of Full Law - 8 GC - Sets your alignment to 32767. Eye of Enemy Health - 1 GC - Allows you to see the HP bars of all monsters on screen. Potion of Soul Attraction - 3 GC - Increases SXP gain by 50% for 8 minutes. Potion of Merchant - 2 GC - Increases Adena dropped from monsters temporarily. X-Potion Lite - 1 GC for 2 - A powerful healing potion. X-Potion Medium - 2 GC - A powerful healing potion. X-Potion Full - 5 GC - Gives a 100% full heal. Scroll of Spell Evasion - 1 GC for 3 - When active, automatically provides Counter Magic as long as scrolls are available. Useful for bosses. Savior Beads - 4 GC - Automatically and instantly resurrects your character if you die (same as if you had not died). There is a great variety of weapons on the server to fit every style of hunting and every skill level. In this section, each class and grade of weapon will be discussed along with the advantages or disadvantages of each. No-Grade weapons are weaker overall than most other weapons, but there are some special No-Grades that are actually very useful. One advantage of using a No-Grade weapon is the fact that Soul Shot - NG are the cheapest to craft. Cocky Prick (Blessed) - This weapon was part of the 2011 April Foolís event. It is rumored that it provides a luck boost. Hyrulian Master Sword (Blessed) - This weapon was part of the 2009 Halloween Event. Many people use this sword to level-up again after de-leveling. Zajako's Toy Soul Blade - These were given out during a promo code event. They might serve a purpose in the future. Pumpkin Sword - This sword was obtainable during the 2010 Halloween event. It is fairly weak, but new players might find it useful. Staff of Mana - A staff that steals mana with each hit on your target. Useful for low level players. While the C-Grade weapons can be useful from levels 40-51, they will not be described in detail here due to the fact that most people will either not use them in favor of other items, or will only use them for a very short while. B-Grades are the most commonly used weapons between levels 51 and 61. Many players even skip crafting an A-Grade weapon because the difference in damage (using Soul Shot - B) is sometimes not high enough to justify the cost of an A-Grade. Vampiric Rage Sword [B] - This sword is extremely useful. It not only does quite powerful damage, but also restores a bit of your health with every hit. Bow of Peril [B] - This bow is the best choice for a ranged weapon user. Some say it is even stronger than bows of a higher class. Bloody Demon Claws [B] - While not many Dark Elves use these claws, they can be a cheaper alternative to other weapons. Kris [B] - This dagger is seldom used, but the critical rate on it can be very appealing. Dual Tsurugi Swords [B] - This is the best choice for a Dark Elf. At a high enchant and with Soul Shot - B, this weapon is stronger than Edoryus of a higher class. Ancient Bowgun - While not utilized very much, this bow is very useful for characters with high DEX. It does great damage, and is one-handed so you can use a shield. Kaim Vanul's Bones [B] - This is a great weapon for regening mana, but it provides no other bonuses. Keshanberk [B] - This is a strong weapon, but most people prefer the HP stealing property of the Vampiric Rage Sword [B]. Sword of Valhalla [B] - This sword is great for magic users until you can get something that adds more INT and SP. Great Sword of Aden [B] - The most under-utilized B-Grade weapon, but it does the highest damage. The drawbacks include the inability to use a shield, and no HP stealing. Before discussing the different weapons available, it is important to mention a custom option that the player has for their weapon: Special Abilities. With A and S Grade weapons, the player has the option of adding one Special Ability to their weapon. Special Abilities for A-Grade weapons can be purchased at the Naked Enchanter at IoP using 2 Liquor (sold by Caroline on IoP), 5 of the specified Enhancement Scrolls (obtained from Blazing Swamps or Heine Dungeon 4th Floor for Water), and 25 million Adena. S-Grade Special Abilities can be purchased from Mammon's Weaponsmith in Imperial Tomb 4th Floor using 25 million Adena and one of each Dragon Blood. The Special Abilities add different things to the weapon, as described below. When detailing the different weapons, the best/favorite abilities for that weapon will also be mentioned. If you wish to remove a special ability from a weapon, visit Weapon Collector in ToI 1st floor. Important Note: You must enchant the weapon with a special ability BEFORE adding Scrolls of Enchant Weapon. Only +0 weapons can have Special Abilities added on. Mana Steal - Light Element. Adds some damage to the weapon and leeches Mana from any monster or player that you melee. Available on Sword of Miracles [A] and Branch of the Mother Tree [A] (Blessed). Empower - Water Element. Adds 2 Spell Power to the Weapon. Available on Sword of Miracles [A] and Branch of the Mother Tree [A] (Blessed). Mana Up - Earth Element. Adds 250 Mana when equipped. Available on Sword of Miracles [A]. Critical Poison - Light or Earth Element. When you land a Critical Hit, the target will be poisoned. The poison can be cured, and will not land on targets that are immune to poison. Available on Dragon Slayer [A] (Blessed) (Light), and Dragon Grinder [A] (Blessed) (Earth). Vampiric Rage - Water Element. Leeches health from any monster or player that you melee. Available on Dragon Slayer [A] (Blessed). Damage Up - Earth Element. Adds +10 Damage Bonus and some base damage to the weapon (no damage added to Dual Keshanberk Swords [A] (Blessed)). Available on Soul Seperator [A] (Blessed), Dual Keshanberk Swords [A] (Blessed), Dark Legion's Edge [A] (Blessed), and Dragon Slayer [A] (Blessed). Focus - Light Element. Adds to the Critical Rating of the weapon. Available on Dark Legion's Edge [A] (Blessed), Dual Keshanberk Swords [A] (Blessed), and Soul Seperator [A] (Blessed). Health - Water Element. Adds 400 HP when equipped. Available on Dark Legion's Edge [A] (Blessed), Tallum Glaive [A] (Blessed), and Dragon Grinder [A] (Blessed). Guidance - Water Element. Boosts the Hit Bonus on the weapon to +75 and adds +5 Critical chance to Tallum Glaive [A] (Blessed). Available on Soul Bow [A] (Blessed), Dragon Grinder [A] (Blessed), Soul Seperator [A] (Blessed), and Tallum Glaive [A] (Blessed). Cheap Shot - Light Element. The bow will fire magical arrows when the user is not carrying any other arrows. Available on Soul Bow [A] (Blessed). Quick Recovery - Earth Element. This enhancement is supposed to proc the Triple Arrow skill, but it is currently bugged. Available on Soul Bow [A] (Blessed). Usability - Water Element. Allows the weapon to be used by all classes. Available on Dual Keshanberk Swords [A] (Blessed). Wide Blow - Earth Element. Causes every swing against a target to hit all other targets in the userís immediate surroundings. Available on Tallum Glaive [A] (Blessed). Conversion - Water Element. Subtracts 200 HP and converts it into 400 Mana. Available on Branch of the Mother Tree [A] (Blessed). Mana Regen - Increases the userís Magic Resistance and Mana Regeneration Rate. Available on Imperial Staff [S] and Arcana Mace [S]. Mana Steal - Leeches Mana from any monster or player that you melee. Available on Arcana Mace [S]. Mana Up - Adds 300 Mana. Available on Arcana Mace [S]. Health - Adds a huge HP boost to your character. Available on Basalt Battlehammer [S], Demon Splitter [S], Saint Spear [S], Forgotten Blade [S], Dragon Hunter Axe [S], and Heaven's Divider [S]. Health Regen - Increases HP regeneration by 25 per tick. Available on Basalt Battlehammer [S] and Dragon Hunter Axe [S]. Vampiric Rage - Leeches Health from any monster or player that you melee. Available on Basalt Battlehammer [S], Angel Slayer [S], Dual Dark Legion's Edges [S], and Dragon Hunter Axe [S]. Cheap Shot - The bow will fire magical arrows when the user is not carrying any other arrows. Available on Draconic Bow [S]. Critical Slow - When you land a Critical Hit, the target will be slowed. The target can remove the curse by re-hasting. Available on Draconic Bow [S]. Focus - Increases the Critical Rating of the weapon. Available on Draconic Bow [S], Demon Splitter [S], Dual Dark Legion's Edges [S], Forgotten Blade [S], and Heaven's Divider [S]. Critical Stun - When you land a Critical Hit, the target will be stunned as with the Knightís Shock Stun skill. Also adds 25 HP Regen to Imperial Staff [S]. Available on Demon Splitter [S] and Imperial Staff [S]. Critical Damage - When you land a Critical Hit, the target will receive extra damage. Available on Angel Slayer [S]. Haste - Adds 5 Dexterity to the weapon and grants a constant Haste effect to the user. Available on Angel Slayer [S], Forgotten Blade [S], Saint Spear [S], and Heaven's Divider [S]. Damage Up - Adds +10 Damage Bonus to the weapon. Available on Dual Dark Legion's Edges [S]. Guidance - Adds +50 Hit Bonus to the weapon. Available on Saint Spear [S]. Empower - Adds +3 Spell Power and 25 HP Regen. Available on Imperial Staff [S]. These weapons are mostly used between the levels of 61 and 76. Many players continue to use them until they get their S80 weapon, since the damage increase from an S-Grade weapon is often not worth the cost. Soul Bow [A] (Blessed) - A quite useful bow, especially with the Cheap Shot special ability. Dragon Grinder [A] (Blessed) - Not used often, as most Dark Elves prefer Edoryus. Soul Seperator [A] (Blessed) - Not used by very many players, which means they can be found for much cheaper than other A-Grades. Dual Keshanberk Swords [A] (Blessed) - Very useful for Dark Elves, especially with the Damage Up special ability. Tallum Glaive [A] (Blessed) - Not used very often, but can be beneficial in areas with many weak monsters. Branch of the Mother Tree [A] (Blessed) - The most used A-Grade for mage classes. Most players add the Mana Steal special ability. Dark Legion's Edge [A] (Blessed) - Highly sought after as a crafting ingredient for the Dual Dark Legion's Edges [S]. Works well with the Damage Up special ability. Sword of Miracles [A] - Possibly a better caster weapon than the Branch of the Mother Tree [A] (Blessed). Most players add Mana Steal to this. Dragon Slayer [A] (Blessed) - The most prized A-Grade for Knights. Deals very good damage, and can have the Vampiric Rage ability added on. Most people use S-Grade weapons between the levels of 76 and 85. Usually, people will try to craft an S80 weapon as soon as possible. S-Grades can be very good weapons, but can also be quite pricey, with some selling in the range of 500 million Adena. Arcana Mace [S] - The most used mage class S-Grade. Most players add the Mana Steal special ability. Basalt Battlehammer [S] - A good melee weapon for Knights. Most players add Vampiric Rage to this. Draconic Bow [S] - This bow is quite powerful, especially with the Cheap Shot ability. Demon Splitter [S] - Not used very much, since most Dark Elves prefer edoryus. The Critical Stun ability can be useful. Angel Slayer [S] - This weapon is a strong choice for dagger users. Add the Vampiric Rage ability to make it even stronger. Dual Dark Legion's Edges [S] - By far the most common choice for Dark Elves. This weapon can be extremely powerful when combined with the Vampiric Rage or Damage Up abilities. Saint Spear [S] - Very rarely used, except by a few polearm fanatics. Forgotten Blade [S] - A favorite weapon of Knights. Most players add Focus or Haste to it. Dragon Hunter Axe [S] - A very powerful weapon which can have Vampiric Rage added to it for even more power. Imperial Staff [S] - The second most commonly used mage class weapon. Most people add Empower to it. Heaven's Divider [S] - A commonly used Knight weapon, which can be very strong when combined with the Focus or Haste ability. These are the most powerful weapons in the game. They are very difficult to obtain, and most players do not earn or purchase one until they are high level or very rich. To craft them, you must collect 4 Vial of Reaper Blood from ToI 81st floor or above, or purchase them from players. Take the Vials and an S-Grade weapon to the Weapon Collector and ToI Armory Guard Captain Taylor on ToI 1st floor to trade in for a ToI Weapon Voucher and Temporary ToI Representative Pass that you can then trade in for an S80 weapon of your choice. Soul Weapons are unique in that they must be leveled up in order to reach their full potential. They start out very weak, but as they level up, they gain special abilities, procs, damage, and stats. You can level a weapon by using Soul Batteries or by killing monsters that give Soul Experience. Most players hunt the Crack of Time or ToI to level their weapons. Soul Weapons also have a different enchanting system, which will be explained later. Ritual Blade - This is part of the quest for the Reaper Skill: Assassin's Creed - S80. You must trade in a Level 10 Blade at the Dark Elven ToI Representative on ToI 1st floor to complete the quest. You will receive Seal of Reaper Magic: Assassin's Creed, which you can double click to recieve the skill. Bow of Elven Blessing - This is part of the quest for the Reaper Skill: Gaia's Blessing - S80. You must trade in a Level 10 Bow at the Elven ToI Representative on ToI 1st floor to complete the quest. You will recieve Seal of Reaper Magic: Gaia's Blessing, which you can double click to recieve the skill. Cupid's Bow of Love - This bow was part of the 2011 Valentineís Day event. It is quite strong when leveled up, and provides several good bonuses. Since it is a No-Grade weapon, it is much cheaper to use Soul Shots with it. Evil Pumpkin Sword - This was a rare prize from the 2010 Halloween Event. It is an extremely powerful sword that gains many great abilities when leveled up. Since it is No-Grade, Soul Shots are much cheaper as well. Khopesh of the Underworld [S80] - This is a rare drop from the boss Anubis in the Thebes Pyramid. The full power of the weapon is unknown, since the special abilities for the weapon have not been added yet. Zajako's Soul Blade [S80] - This is one of the strongest weapons in the game. It has many special abilities and does extremely powerful damage. It is only available through special events, where it is dropped by the Zajako boss. Executioner [S80] - This is a good 1-handed axe that gains Vampiric Rage and Stun as it levels up. Sacred Cross [S80] - This bow is a great choice for elves, and gains Cheap Shot, Stun, and other great procs as it levels. Heaven's Fang [S80] - This dagger is not commonly used, but it gains an extremely powerful proc at level 15: "Fatal Strike". This proc does damage similar to a Dice Dagger (Cursed), but it can go off multiple times! Great for PvP. Fangs of Destiny [S80] - The favorite of Dark Elves, this weapon is a very strong edoryu. Staff of Eden [S80] - This staff is great for mages, and adds lots of Spell Power and INT. Blade of Zeus [S80] - (REAPER ONLY) This sword gains a lot of damage procs as it levels and is one of the better PvP weapons. Blood Sword [S80] - This is an awesome weapon if you like stealing HP from your target. It gains many Vampiric buffs as it levels. Vesper Staff [S80] - (REAPER ONLY) Many Reaper Mages choose this 2-handed staff for the beneficial procs it gives as well as the big boost to INT and Spell Power. Soul Eater [S80] - This is a PvPer's dream weapon. It does powerful damage and gains a Stun proc at level 15. Elemental enchanting is a custom system unique to the server. With this system, you can add an elemental stone to your weapon that will add 1 extra elemental damage and a 1% chance for an elemental proc. Each weapon can be enchanted with 5 stones of a single element safely. After the initial 5 enchants, there is a chance that every following enchant will fail. If it fails, the only consequence is that the stone will disappear. You do not lose your weapon or the previous enhancement level. The maximum elemental enchant is 20, and only one element is allowed on the weapon. If you wish to remove the elemental enchants from your weapon in order to change it, visit the Weapon Collector in ToI 1st floor. This type of enchanting is specifically for Soul Weapons. Soul Weapons cannot be enchanted using normal enchant scrolls. Instead, you must obtain a Soul Enchantment Scroll: Weapon. These scrolls are very rare, but are the only way to enchant your Soul Weapon. All Soul Weapons are safe to +0, but the weapon does not evaporate if an enchant fails. Instead, the weapon loses 150,000 Soul Experience and the scroll disappears. Soul Enchantment Scroll: Weapon (Blessed) can give +1-3 points depending on the current enchantment of your weapon. Weapons must be at level 20 or above to enchant. The benefits of enchanting include not only higher damage, but a higher chance for the weapon to proc as well. Good armor is necessary for any successful character. In this section, the many different types and grades of armors will be discussed, as well as the different sets and the preferred items for certain classes. Most players tend to not use No-Grade armors, since there are much more powerful choices. There are a few of these armors, however, that are quite useful. Cloak of Magic Resistance - Usually used at a high enchant level to increase Magic Resistance. Cloak of Invisibility - Can come in handy for moving around without being seen. Most aggressive monsters can see through this. Bone Shield - Has some nice stats that make it useful even at higher levels. Craftable with Lien on Talking Island or at the Costume Merchant in SKT. Hyrulian Shield (Blessed) - Dropped during the 2009 Halloween event, this shield gives +2 Spell Power and other small bonuses. Pumpkin Suit - Dropped during the 2010 Halloween event, this suit gives a couple of small stat bonuses. Armor of the Pretender King - A decent armor to use prior to getting a B-Grade set. Blue Shirt of Wisdom - Adds +3 to Wisdom, +50 Mana, 5 Magic Resistance, and 5 Mana Regen. Obtained from Blue Box of Gratitude. Orange Shirt of Constitution - Adds +3 to Constitution and 50 HP. Obtained from Orange Box of Gratitude. Yellow Shirt of Charisma - Adds +3 to Charisma, 5 Damage Reduction, and 20 Weight Reduction. Obtained from Yellow Box of Gratitude. Green Shirt of Dexterity - Adds +3 to Dexterity and +5 to Bow Hit Bonus. Obtained from Green Box of Gratitude. Purple Shirt of Intelligence - Adds +3 to Intelligence. Obtained from Purple Box of Gratitude. Red Shirt of Strength - Adds +3 to Strength. Obtained from Red Box of Gratitude. Teal Shirt of Balance - Adds +2 to all stats. Obtained from Teal Box of Gratitude. Cloak of the Cleric - A - Doubles healing power at the cost of a decrease in all stats. Craftable at Frintezza's Seamstress in Aden. Cloak of the Magi - A (Blessed) - Greatly increases INT and Spell Power and adds 25% damage to attack spells at the cost of a decrease in all other stats. Craftable at Frintezza's Seamstress in Aden. Cloak of the Warrior - A (Blessed) - Greatly increases STR and DEX and adds 20% damage to melee and bow attacks a the cost of a decrease in all other stats. Craftable at Frintezza's Seamstress in Aden. Santa's Magical Hat - A very powerful hat that dropped during the Christmas 2010 event. Lineage 1.5 Collector T-Shirt - The most powerful T-shirt in the game. It is obtainable during special events from the Zajako boss. Evil Pumpkin Suit - One of the strongest single pieces of armor in the game. It was obtainable from the 2010 Halloween event. While most people prefer to simply wait till level 51 to obtain a Blue Wolf set, the C-Grade armors do provide nice little set bonuses for new players who wish to make use of them. C-Grade armors are sold at Newbie Town. Full Plate Armor Set - Armor set for knights that gives small boosts to HP and Strength. Karmian Robe Set - Armor set for mages and elves that gives small boosts to INT and MP. Drake Leather Armor Set - Armor set for elves and dark elves that gives small boosts to DEX and bow hit bonus. These armors are used from level 51 onwards until the player can obtain better equipment. They provide good stat bonuses and are very easy to obtain in the Ant Caves. Blue Wolf Heavy Set - This set is for knights and dark elves, and gives nice bonuses to STR. Blue Wolf Robe Set - Used by mages and casting elves, this gives nice boosts to INT and MP. Blue Wolf T-Shirt [B] - This is a good t-shirt to use until you can obtain something stronger. Blue Wolf Cloak [B] - A good standalone cloak until you can obtain something stronger. Bunny Hat [B] - This hat was dropped during the 2011 Easter Event, and is rumored to provide good luck. It is part of the Bunny King Set. Shield of Paagrio (Blessed) - Gives a small boost to Fire Resistance and HP, and provides a permanent haste effect. Blue Wolf Shield [B] - Doesnít provide any bonuses, but is easily obtained and can be highly enchanted for good AC. Starting with A-Grade, you are required to unseal an armor item after you craft it or obtain it from a boss. To do this, you must take it to Blacksmith of Mammon in the field in north IoP town along with several ingredients. Check the page for the item you wish to unseal to look at the ingredients or visit the NPC in-game. Important Note: You must unseal the item BEFORE you enchant it, otherwise you risk evaporating the item. You can only unseal a +0 item. This grade is where a lot more variety opens up in your armor set choices. Each of the 4 different types of armors (Tallum, Dark Crystal, Majestic, and Nightmare), have 3 distinct Light, Heavy, and Robe sets, making for 12 sets total. Over time, players have grown to prefer certain sets over others. The sets will thus be organized by class, with the most preferred sets listed first. Tallum Heavy Set - For those needing pure power, this set provides a big bonus to STR. Nightmare Heavy Set - This set combines decent offensive power with some HP bonuses for survivability. Majestic Heavy Set - This set gives decent STR, with a higher boost to DEX for those needing a better hit bonus. Dark Crystal Heavy Set - Gives massive HP bonuses for those wanting higher survivability. Dark Crystal Robe Set - Pure spell power, for those needing maximum magic damage. Nightmare Robe Set - Gives less INT, but adds some WIS for better regen and higher magic resistance. Majestic Robe Set - Gives big bonuses to MP and MP Regen. Tallum Robe Set - This set is rarely used. It has the same bonus categories as Dark Crystal Robes, but gives smaller bonuses. Nightmare Light Set - Gives a large bonus to DEX for maximum bow damage. Dark Crystal Light Set - Gives a large boost to STR for Dark Elves looking for melee damage. Majestic Light Set - Gives a good boost to DEX and a smaller boost to STR. Tallum Light Set - Gives an even blend of STR and DEX bonuses. If you are lucky enough to obtain a +10 A-Grade set, you can get some extra bonuses from it. You will receive +1 to all stats for wearing a +10 set, and higher enchant levels will bring even better bonuses. Remember, ALL items in your set must be +10 to receive the bonus. Thriving Captain Shield [A] - This is dropped by the Thriving Dead Captain in the SKT Caves. It is a very good shield, but it is very rare. Cloak of Vampire [A] - This is an excellent cloak, but good luck getting to ToI 30th floor to kill the Horrific Vampire! Medusa Queen's Feathered Hat [A] - One of the better hats in the game, but the Medusa Queen in SKT Caves is difficult to kill. Medusa Queen's Fancy Gloves [A] - Some of the best gloves in the game, but they are very rare. Also drops from Medusa Queen. Nightmare Shield [A] (Blessed) - A decent shield to use until you can get something better. Dark Crystal Shield [A] (Blessed) - A good shield to use if you need HP. For many players, this will be the hardest class of item to obtain. Crafting these armors takes very long, but it is also very rewarding. Purchasing them is much faster, but some of these sets can go for 1 billion Adena or more! If you are up for the challenge, you can obtain S-Grade armors from the Kraken underwater. Imperial Crusader Set - This Knight set gives all kinds of great bonuses. Major Arcana Robe Set - This set is for Mages and casting Elves, and gives big bonuses to INT, MP, and MP Regen. Draconic Leather Set - A bow Elf and Dark Elfís dream set, this provides a massive bonus to DEX, and lots of other benefits. Imperial Crusader Shield [S] - This shield provides great bonuses for melee players. Craftable at Mammon's Armorsmith in Heine Town. Valakas Scaled T-Shirt [S] - A very powerful shirt that provides lots of boosts. Dropped by Valakas. Cloak of Zaj [S] - One of the most powerful cloaks in the game. Very expensive. Obtained from Zajako boss. Crown of Mummy Lord [S] - A very powerful helmet that gives some strong stat boosts. Drops from the Cursed Mummy Lord on the 60th floor of ToI. Boots of Cerenis - Good boots to wear if you are not wearing an armor set and want extra INT. Drops from Cerenis in Aden Castle. Gloves of Cerenis - Good gloves to wear if you are not wearing an armor set and want extra INT. Drops from Cerenis in Aden Castle. Death Knight Boots - Good boots to wear if you are not wearing an armor set and want extra STR. Drops from Death Knight in Mainland Caves. Death Knight Gloves - Good gloves to wear if you are not wearing an armor set and want extra STR. Drops from Death Knight in Mainland Caves. The S80 armors are only obtainable by killing the boss monsters that drop them. They are among the most powerful single items in the game, but are extremely rare. Lich Robe [S80] - A very powerful piece of armor for casters, this item drops from the Lich Captain on ToI 90th Floor. Fafurion Scaled Cloak [S80] (Blessed) - This is a powerful caster cloak that drops from Fafurion. Shield of the Reaper King [S80] - The most powerful shield in the game. This is obtainable only from the Reaper King on ToI 100th Floor. Zajakoís Almighty Set - This is one of the strongest sets in the game when you combine the stats of the individual items along with the set bonus. These play a vital role in filling out a playerís armor. Accessories can range from providing only simple AC to boss jewelry with huge stat bonuses. If you successfully enchant your jewelry to a certain level, it will gain some extra Magic Resistance. This is especially beneficial for newbies who are using Black Ore items, as they are fairly common and affordable even at a high enchant level. Ring of Flames (Blessed) - A helpful item when fighting fire-element monsters. Gives some MR and a nice boost to Fire Resist. Drops in Fire Valley. Ring of Teleport Control - Use this with a standard teleport scroll or the teleport spell to select a bookmark to teleport to. Drops from many boss monsters. Ring of Summon Control - Use this with the summon spell to select from a list of the monsters you can summon. Drops from many boss monsters. Amulet of Black Wizard - This is a good amulet to use if you need INT, but donít have a stronger necklace. Drops from Black Wizard in Diad. Amulet of Flames (Blessed) - This amulet is good to use if you are facing fire-element monsters. Gives some MR and a nice boost to Fire Resist. Drops in Fire Valley. Lucky Clover Belt (Blessed) - This belt may not appear to give any bonuses, but it gives a boost to luck. Dropped during the 2011 St. Patrickís Day Event. Ring of Ancient Giant - If you can get this to a high enchant level, it is a decent belt until you can get something with better stats. Drops from the Ancient Giant. Ogre Belt - This item is helpful on storage characters to gain a higher carrying capacity. Drops from Ogre. Belt of Darkness - A good belt to use for Dark Elves seeking more DEX. The C-Grade rings are decent equipment until you can obtain something stronger. They are obtainable from the bosses around the Newbie Town hunting zone. Takhbork's Ring [C] - A decent ring for melee characters until you can find something stronger. Zrodt's Ring [C] - Gives a boost to STR. Nice for melee characters. Azalin's Ring [C] - A very nice INT boosting ring, even for high level casters. WhiteBane's Ring [C] - Gives a nice boost to HP. This grade contains items that range from newbie gear to boss jewelry that is very useful to even the strongest players. These items are dropped from the Blazing Swamps and from different bosses. Ring of Queen Ant [B] (Blessed) - This ring is one of the best that you can find for a melee character. It is quite expensive, though. Ring of the Bunny King [B] - Dropped during the 2011 Easter Event, this ring is rumored to give good luck. It is part of the Bunny King Set. Ring of Zenith [B] - This ring is excellent for bow users because of its DEX bonus. It is quite rare. Drops from the Mutant Zenith Queen on ToI 11th Floor. Black Ore Ring [B] - A good basic ring to use for AC. Gives some bonuses to MR at higher enchants. Earring of the All Seeing Eye [B] - This is an excellent earring for casters with a good bonus to INT. These are rarely seen on the market. Drops from the Wicked Seer on ToI 20th Floor. Black Ore Earrings [B] - A good basic earring to use for AC. Gives some bonuses to MR at higher enchants. Black Ore Necklace [B] - A good basic amulet to use for AC. Gives some bonuses to MR at higher enchants. Chain Belt of Power - A decent melee class belt to use till you can find something stronger. Chain Belt of Magic - A decent caster class belt to use till you can find something stronger. Chain Belt of Quick Movement - Decent for a class looking for DEX, but the Belt of Darkness provides a better choice for Dark Elves. Like the B-Grade items, the items in this class range from basic Phoenix items to extremely powerful Boss items. The non-boss jewelry can be crafted at Jewelerin IoP. Baium Ring [A] - This is one of the strongest rings in the game, but it is also one of the hardest to obtain. Baium is only spawned during special events, but is guaranteed to drop a ring every time. Majestic Ring [A] (Blessed) - This ring gives several decent boosts to regen and MR.
Phoenix Ring [A] (Blessed) - A basic ring that is a little stronger than the Black Ore Ring. Majestic Earrings [A] (Blessed) - These earrings give some regen and MR boosts. Phoenix Earrings [A] - Basic earrings that are a bit stronger than Black Ore Earrings. Amulet of the Living Dead [A] - A powerful amulet that gives a nice STR boost. Drops from the Raging Zombie Lord on ToI 40th Floor. Majestic Necklace [A] (Blessed) - Gives some regen boosts, and adds a bit of HP/MP. Phoenix Necklace [A] (Blessed) - Basic amulet that is a little stronger than Black Ore Necklace. Cougar Skined Belt [A] - This is one of the best belts in the game, but it is also one of the rarest items. Drops from the Burning Cougar on ToI 50th Floor. The S-Grade jewelry is more powerful than the other classes, but it is also harder to craft or obtain from bosses. For many players, S-Grade is the highest grade they will wear for a long time. Tateossian Ring [S] - This ring gives bonuses to useful stats, as well as regen and MR bonuses. Earring of Antharas [S] - A very powerful earring that gives lots of nice bonuses. Drops from Antharas. Tateossian Earrings [S] - A good earring that gives nice regen boosts. 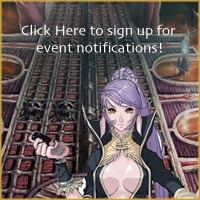 Necklace of Valakas - S80 - A powerful necklace that gives plenty of bonuses and a big HP boost. Drops from Valakas. Amulet of Iris [S] - This necklace gives a huge CHA boost. Drops from the Iris of Fire on ToI 70F. Tateossian Necklace [S] - A nice amulet that gives small boosts to STR and INT. Zajako's Belt [S] - One of the most powerful belts in the game. Drops only from Zajako Boss. Antharas Scaled Belt [S] (Blessed) - A very powerful belt with lots of stat boosts. Drops from Valakas. The items in this grade are some of the rarest and hardest to obtain boss items in the game. They are also some of the strongest. If you happen to get one, you should consider yourself very lucky. Earrings of the Deep Sea Kraken [S80] - This is one of the strongest single pieces of equipment in the game. It is extremely rare and expensive. Drops from the Kraken underwater in Heine Cave. Anubis' Key of the Nile [S80] - A very powerful ring with lots of nice bonuses. Very difficult to obtain. Drops from Anubis inside the Thebes Pyramid. Belt of Osiris [S80] - This is a very nice belt, but good luck getting to and killing Osiris inside the Thebes Pyramid. The normal spells are all available as normal on 1.5, with the added benefit of being able to learn them without having to visit a temple. Simply double click any spellbook or crystal, and if you are the proper level and class the spell will be added to your spell inventory. The major change to the normal spells deal with the healing spells and Cancel Magic. Heals have been greatly boosted on the server to match the massive damage output that some of the stronger monsters and players have. Due to players abusing the spell, Cancel has had a custom ingredient requirement added: White Stone. These stones are obtained rarely from the Ant Caves, and make casting Cancel an expensive tactic. This is to prevent CDK players from simply cancelling other players non-stop to gain an unbalanced advantage. The server has different classes of custom skills that are much more powerful than the standard spells. These skills are mostly attack based, but there are several buff and heal spells as well. Each class has a unique skill that they can obtain. These skills are not required, but they provide an excellent source of damage and can help a player hunt stronger areas. The ingredients required to learn these skills are all obtainable in the Paganís Temple. Seal of Hurricane - S80 - This is a Mage class AoE skill that summons a huge hurricane to do massive damage to anything in its range. Seal of Sonic Rage - S80 - This is a Knight class skill that sends a strong spark of energy from your weapon to hit a single target. Damage dealt by this spell is considered Physical Damage. Seal of Magic Blade - S80 - This is a Dark Elf class skill that sends a powerful spinning magical blade to hit your target. Seal of Hydro Blast - S80 - This is an Elf class skill that summons a powerful jet of magic water to damage your target. Seal of Pledge Heal - S80 - This is a Royal class healing skill that will heal not only yourself, but all members of your party. Gaia's Blessing - S80 - This is considered a very important skill for any Reaper to obtain. It provides many Elven buffs with a single cast. To obtain it, you need to level a Bow of Elven Blessing to level 10 and take it to the Elven ToI Representative in ToI 1st Floor. Assassin's Creed - S80 - This is the other must-have Reaper skill. It gives lots of Dark Elf buffs with each cast. You must level a Ritual Blade to level 10 and take it to the Dark Elven ToI Representative in ToI 1st Floor to obtain this skill. Shadow Burst - A - This is a very strong AoE spell that casts quickly and doesnít use huge amounts of MP. Excellent for hunting areas with lots of strong monsters, like DI. Also useful as a PvP attack spell. Slash Stun - A - This is is a ranged attack skill which gains damage based on your DEX and STR. It also has a 5% chance to stun the target. It is obtainable from the Greater Box of Luck sold on IoP. Seal - A - This skill consumes 5 White Stone with each cast, but can immediately give you the upper hand in a fight. If landed successfully, the target can be affected by Poison, Decay Potion, Silence, Slow, Blind, Sleep, and Paralyze. Each of the individual debuffs has a random chance to land, so each cast can land some, all, or none of them. Spirit Blast - A - This is a single-target ranged attack spell. You can learn it at the NPC in Paganís Temple using the book that drops from Andrea Van Halter. Coca Cola/Mountain Dew - Heals 500 HP and MP with each use. Drops during various events. Ancient Greater Healing Potion - The most commonly used healing potions. Available in most potion shops. Bless of Eva - Used to breathe underwater. Without this, your HP will drop significantly. Sold at Buakheu underwater. Mugwort rice-cake - Instantly recovers some MP with each use. Good in emergency situations when you need a few extra spell casts. Sold at IoP shop. Rabbit Liver - Strong healing potions, but expensive to use constantly. Sold at IoP shop. Super Brave - Instantly turns any morph into a cracked version of that morph for 60 seconds, with extreme swing and walk speed. Good for ToI bosses. Not usable in conjunction with CDK. Crystal of Protection - Provides 5 minutes of the Immune to Harm effect. Drops in the Thebes Pyramid. Potion of De-Leveling - Instantly de-levels your character to level 1. Sold at IoP shop. Potion of Experince - Gives an instant increase to your characterís experience. Useful at higher levels. Enhanced Potion of Experince - Gives a larger boost to your characterís experience. Potion of Great Experince - Gives a big boost to your characterís experience. Very useful at high levels. Savior Apple - Similar to Savior Beads, but only usable at lower levels. Crack Death Knight Elixer - Similar to Dragon Juice, but only usable at lower levels. Immunity Perfume - Provides an Immune to Harm effect. Only usable at lower levels. Icicle Arrows - These arrows dropped during the 2010 Christmas Event. They can significantly slow down a target. Golden Arrow - These arrows drop from various monsters in IoP and Newbie Town. They are a fairly strong general-purpose arrow. Poisonous Arrows - These arrows drop from the SKT Caves and can poison a target. Soul Ore - Used for crafting Soul Shots. Sold at IoP shop. Spirit Ore - Used for crafting Spirit Shots. Sold at IoP shop. Ancient Relic - Take 500 of these to Mammon's Weaponsmith on 4th Floor Imperial Tomb to receive a box containing S-Grade weapon materials. Drops in Imperial Tomb. Pagan's Mark - These are used along with the magic books to learn most of the custom S80 and Reaper Skills. They drop in Paganís Temple. Black Blood Stone - Take these to an Alchemist in town to refine them into Relics and then into Magic Gem, Bring Stone, or Spirit Gem. Blood Stone - Fill this will 4 Vial of Reaper Blood and turn it in to ToI Armory Guard Captain Taylor in ToI 1st floor to obtain Temporary ToI Representative Pass, which is part of the S80 Weapon Quest. Ancient Sewing Needle - Turn in one of these to Frintezzaís Seamstress along with 5 Powerful Soul Fabric, 5 Soul Egg of Power, and 3 normal dolls to obtain a Power Doll. L1.5 REAL T-Shirt Voucher - If you happen to get one of these from an event, turn it in to Zajako and you will receive a real life L1.5 t-shirt in the mail. Weakened Spirit Blade - Turn this in to Elliona in Ivory Tower along with 100 Angry Soul Shard, 100 Lost Soul Shard, 100 Pure Soul Shard, and 100 Sad Soul Shard to receive Charged Spirit Blade, which you can double click to turn into a Reaper. Do not use the Charged Blade until you are ready, as you will de-level when you use it. Blank Scroll (Level 4) - Useful for inscribing with the Counter Magic spell. Spells can only be inscribed with a Mage class character. Blank Scroll (Level 5) - Useful for inscribing with Counter Magic or Remove Curse. Glowing Coal From Blazing Swamp (Blessed) - Used to teleport to Blazing Swamp. Sold in IoP and SKT. Glowing Relic of Imperial Tomb (Blessed) - Used to teleport to Imperial Tomb. Sold in IoP. Glowing Twigs From Forest of Strength (Blessed) - Used to teleport to Boss Island. Sold in IoP. Scroll of Brag - Shows an item you select from your inventory on the global chat. Adena - The main currency in the game. Gift Coin - A major second currency, usually used for expensive items. Pharaoh's Gold - Can be sold at shops for a good amount of Adena. FunLand Tickets - Redeemed at the arena Ticket Store for various prizes. Firewood - Used for cooking. Calling Flute - Used for calling your pets without visiting the kennel. ToI Weapon Voucher - Turn in any S-Grade weapon to the Weapon Collector to receive one of these. Part of the S80 Weapon quest. Vitality Coin - Obtained by spending 1 full hour in the game. Can be exchanged for various items at the Vitality Priestess at -warp 3. Crab Meat Soup - Cook and eat this to get extra experience from monsters. Mushroom Soup - Cook and eat this to get extra experience from monsters. Hopefully this guide has been of some use to you. There are thousands of other items in the game, but to describe them all here would have been impossible. If you have a question about any item that is not in this guide, feel free to ask a fellow player or post on the forums. Good luck and have fun!